This Touring Oil Cooler Kit provides a clean look and efficient cooling for Twin Cam-equipped models. First offered as original equipment on the ‘03 Screamin Eagle Road King model, the oil lines of this cooler kit attach to a unique oil filter mount at the front of the engine, eliminating long hoses that run to the oil tank. Fits ‘99-06 Touring models. Does not fit with Chrome Display stand P/N 99002-97A or models Equipped with sidecars. xxxThis Touring Oil Cooler Kit provides a clean look and efficient cooling for Twin Cam-equipped models. 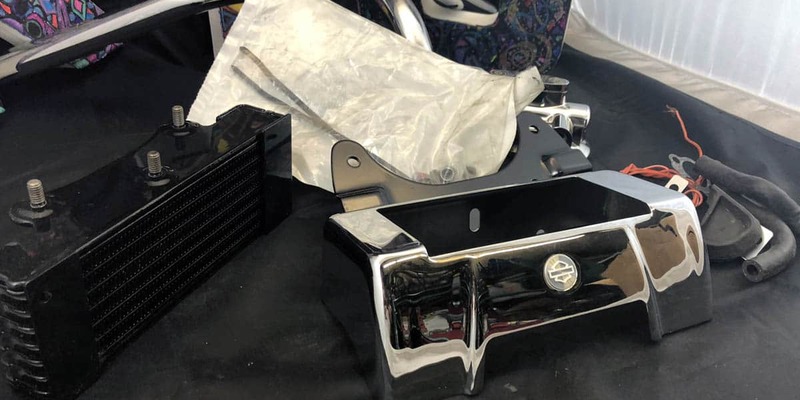 First offered as original equipment on the ‘03 Screamin Eagle Road King model, the oil lines of this cooler kit attach to a unique oil filter mount at the front of the engine, eliminating long hoses that run to the oil tank.